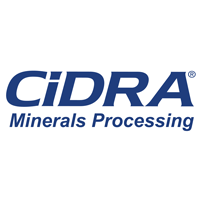 CiDRA Minerals Processing is a leading supplier of process optimization products including the CYCLONEtrac™ and SONARtrac® systems. CiDRA’s CYCLONEtrac™ systems are innovative turnkey solutions that provide reliable operation and optimized classification and grind control, identifying events of low efficiency, at the level of a single hydrocyclone. SONARtrac systems are clamp-on, non-contact systems capable of providing multi-variable measurements, such as volumetric flow, speed of sound, and entrained air, in a wide variety of applications - liquids, gases, slurries, and multiphase fluids. CiDRA products and services are being used at more than 400 customer locations in over 45 countries. EnviroChemie is a leading European constructor of plants for industrial wastewater treatment, process water treatment, water recycling and energy production from industrial wastewater. The company has established a reputation for reliable and innovative technology for water and wastewater treatment, specialising in developing and implementing customised solutions for customers in the mining industry. 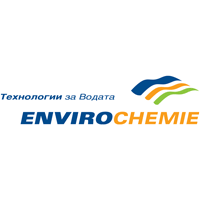 EnviroChemie adopts a partnership approach in which client specialised needs and characteristics form the basis for individual design, planning, engineering, building and commissioning of wastewater treatment plants. Olympus is a leading manufacturer of edge testing technologies equipment that include remote visual inspection, ultrasound & phased array, eddy current & eddy current array, X-ray fluorescence & diffraction, microscopy and optical metrology. Olympus instruments are used in industrial and research applications ranging from aerospace, power generation, petrochemical, oil & gas, mining, manufacturing, and automotive to consumer products. Olympus is a specialist manufacturer of portable geochemical analysers for the global exploration and mining industry. Having forged long-term partnerships with exploration and mining companies, Olympus understands the mineral exploration and mining industry and the demanding environments in which its equipment is used. We have engineered our analysers not only to be highly accurate, but to be rugged and reliable too in order to keep you up and running in the field. Our new Vanta handheld XRF analysers for mining and geochemistry provide immediate on-site elemental analysis for geochemical exploration, mining grade control, ore processing, and remediation. Vanta analysers feature software designed in cooperation with industry experts and includes: Integrated GPS for georeferenced exploration and environmental samples, Connectivity via Wireless LAN and Bluetooth® to send results to base in real time and seamlessly integrate data into third-party software programs, Onboard spectra viewing to quickly discriminate spectral overlaps. 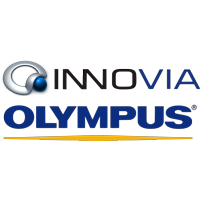 Innovia, as Olympus’ exclusive distributor in Bulgaria, is offering the full range of Olympus equipment and technologies together with pre-sales and after-sales services, including training and consultancy. ALS is an Australian Stock Exchange listed company (ASX:ALQ) that commenced operations in Queensland, Australia as Campbell Brothers in 1863. ALS has over 14,000 staff operating from over 350 locations in more than 65 countries. As one of the largest global analytical laboratory groups, we have facilities strategically located all over the world with key locations in Australia, Asia, North America, South America, Europe, the Middle East and Africa. ALS has demonstrated over 40 years of strong business performance with global revenues exceeding $1.6 billion and reputation built on quality, client service, innovation, and technical excellence. The Company continues to remain at the forefront of the testing services industry as a provider of choice on a global scale. Servicing government, multi-national companies, manufacturers, retailers, consultants, and mining companies across the world, ALS processes more than 40 million samples per year and is one of the largest global testing, inspection and certification (TIC) companies. The Company’s extensive coverage benefits clients through technical leadership, access to emerging technology and regulatory trends, as well as a large pool of technical experts. This is balanced with a local focus to provide ease of use and market-specific knowledge and services. Rodinia s.r.o. 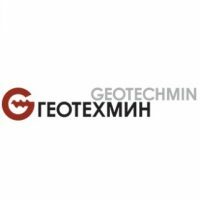 is a private mineral exploration company with advanced gold, copper, antimony and base metals projects in the Slovak Republic, Europe. 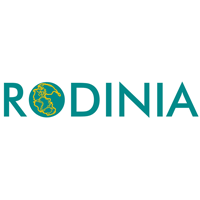 In 2017 Rodinia was awarded four exploration licenses in Slovakia. These cover very prospective ground and historic mineral exploration districts in eastern part of the country.